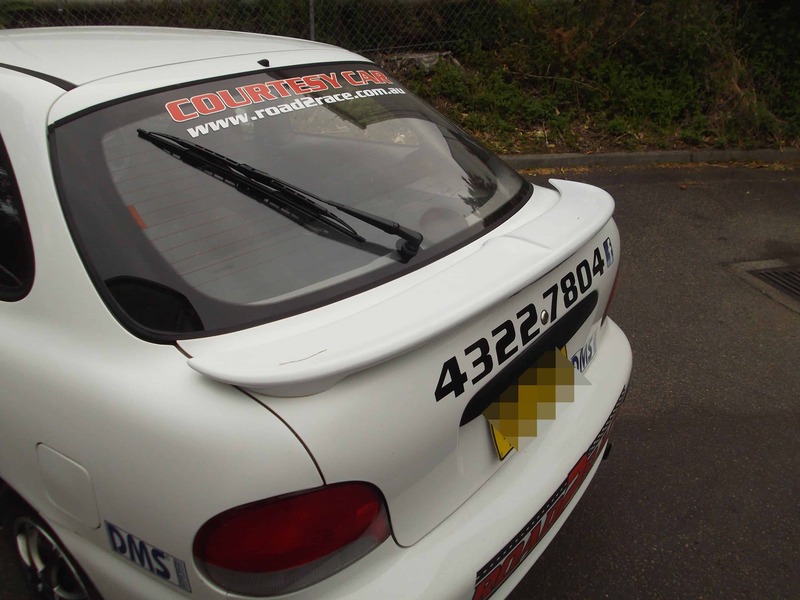 Unlocking the Myth’s on Rear Spoilers….. Through the evolution of the motor vehicle…….. There has always been a strong emphasis on several aspects of aerodynamic design. Primarily it is always about the management of air flow to reduce drag & lift. In the world of racing, aerodynamic design consideration is taken extremely seriously. Formula 1 / Super Car / NASCAR & more still spend millions trying to perfect this craft. It truly is a fascinating world…. 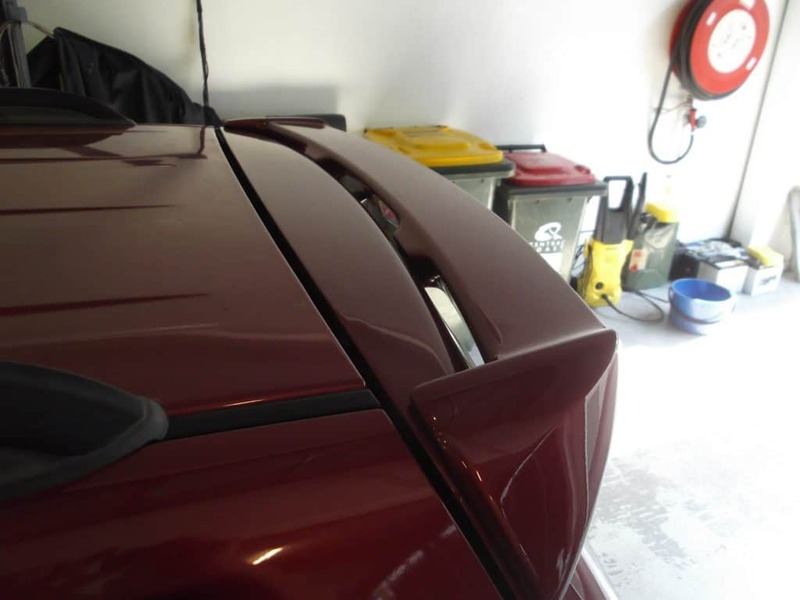 Recently I have been looking into the function and real world application of one simple device called the “Rear Spoiler”….. I think I feel this way because pretty much every car has them fitted, so I remain curious to understand more. On the other hand, the spoiler is mostly designed to reduce lift (down force also in high end applications) and in many cases, pending design, reduce drag making them very efficient devices……. and commonly find there way onto many road production motor vehicles all the way through to high end competition. So what does the spoiler actually do……?? To fully appreciate this you need to understand briefly by nature the design of a typical motor vehicle. Simply, the motor vehicle is shaped a lot like a aircraft wing and of course this shape is designed to create lift. High speed air flow on top of vehicle (low pressure) as compared to the slower moving air speed under the car (Bernoulli principle) creates lift with this effect dramatically increasing with speed. The attached air flow being drawn down by the vehicle body creates an equal & opposite force in lift (Newtons Third law). Exactly what we wish to eliminate and this is a serious problem at high speeds. An average motor vehicle deign with no aero aids will start to lift off the road at high speeds. This is exactly what you do not want when your speed is getting up to 180k plus going down the main straight at SMP and staring straight into the barrel of Turn 1……..
Getting back to our big problem of lift………… Our spoiler is designed to do just that……….. and that is “spoil” the unfavourable air flow existing the rear of the vehicle. A region of high pressure is built up in front of the spoiler which acts just like a barrier and designed to “level off” the main air stream. The objective is to modify the shape of the air flow into a more aerodynamic form. 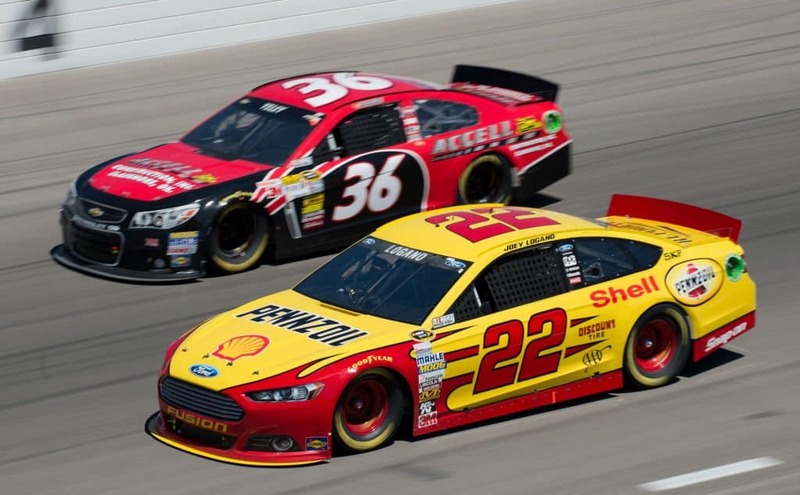 There is much more to the science of what is going on hear…… It is just very important to note that the rear off the car, usually rearward of the roof is an area where physics start to work against us and an area of air management that needs to be strongly considered in the design of competition and race cars. Then there is the problem of box shaped sedan etc. with high angle rear windows…… this is where it gets even more complicated as you are faced with flow separation where the air flow is simply is ripped off the body creating a lot of turbulence and drag therefore low mounted wings & spoilers just will not be effective in a turbulent / unclean air stream. Mitsubishi did try to combat this problem on the EVO with the fitment of roof mounted Vortex Generators. So unlike a rear wing……. the bulk of the air flow stream is designed to avoid hitting the spoiler and instead the critical air flow stream is redirected into a more aerodynamic flow stream. Considering now the drag component , as the moving vehicle displaces air a void is created at the rear of the vehicle. The displaced air / wake very soon cannot be filled quick enough by high pressure clean air so therefore a drag (vacuum) force created…… This is very taxing to vehicle, fuel efficiency, performance and top speed as it is the engine that must overcome this component of drag………… It is for this reason that I feel spoilers find there way onto many road going vehicles…… I believe new vehicle manufactures in their quest for more efficiency & greater fuel economy are certainly aware of the multiple benefits of the rear spoiler. If you ever have doubt that spoilers don’t work then its interesting to consider the case study of the first Audi TT back in the 1990’s…… the first series of this motor vehicle were actually falling off the road due to high speed over steer at speeds in excess of 140klm….. The slop of the rear body was shaped for the perfect air foil (Wing)…… yes, the rear of the car was actually being lifted (forced) off the road due to lift and the moment there was steering input at speed…… the tyres let go………… There were some tragic accidents and yes in Germany they do drive this fast………… The fix…..?? Audi recalled these vehicle and part of the fix was the installation of a rear spoiler……….. Future models had them built into there bodies and the spoiler deploys once a predetermined speed is reached…..
Secondly, consider a current spec NASCAR……. you don’t really see a wing up in the air stream…… just a high angle of attack spoiler (looks more like a fence) on the rear trunk lid…….. and look at the speeds these car generate…..
To further appreciate the rear spoiler, consider airliner aircraft on landing……….. generally the moment the aircraft hits the runway the spoilers (upward, vertical type flaps) on the wings are deployed to instantly kill off lift. The spoiler disrupts the air flow….. dramatically reducing lift and increasing drag to help force the plane onto the ground and keep it there whilst slowing the plane. This is the same principle for the motor vehicle……. the angled spoiler disrupts the air flow and kills unwanted lift. Conclusion……. Do they work………….?? These are the cold hard facts that they do………….. So yes……. and very very well……. and if there is anyway to reduce lift by any means then that can only be a good thing for our race car and of course if we can also eliminate a bit of rear drag then we are faster and more fuel efficient….. 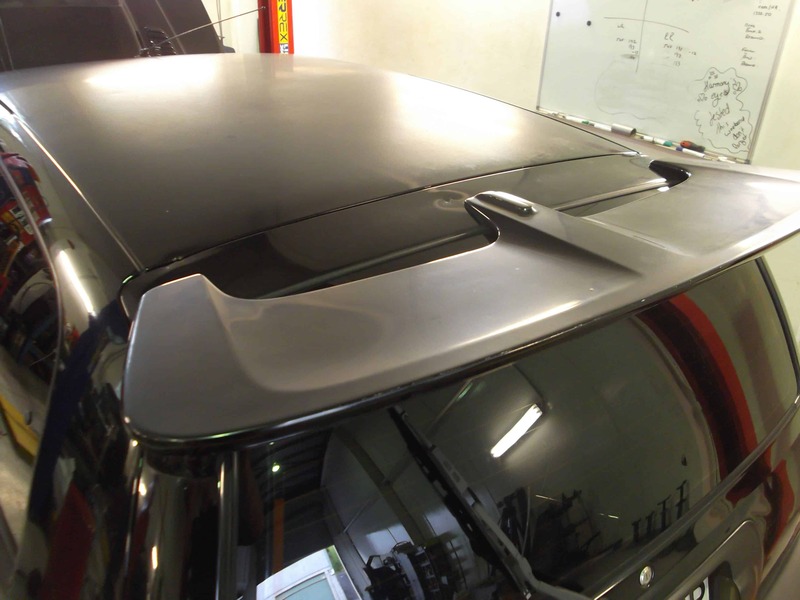 The next big question would be are they all effective………… truth is that some may be there more for looks than function…… although I do believe with modern motor vehicle science that there is a place for a rear spoiler and they are far more than just a dress up panel. I have included a few pictures of rear spoilers. 1/ Hyundai Excel……. If you are running in the Excel Series I would definitely make sure you are running this factory aero. 3/ Mazda 121 Metro…… Not a bad looking unit…… most likely designed to delay flow separation & consequent drag due to the large rear tail gate that cuts off abruptly from the roof.